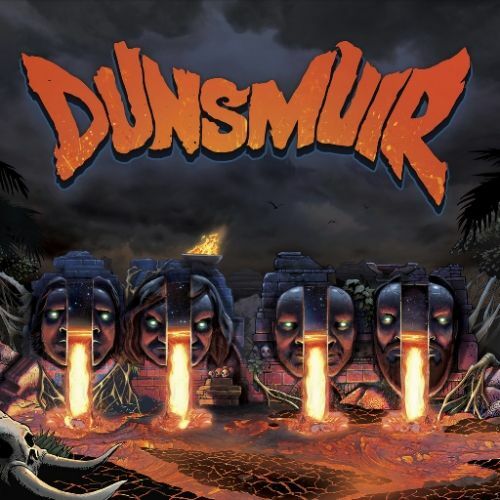 Dunsmuir is a new project featuring Clutch singer Neil Fallon, former Black Sabbath drummer Vinny Appice, Fu Manchu bass player Brad Davis and guitarist Dave Bone from The Company Band. The four have been working on tracks for their debut, self-titled album for a few years and this is finally released via Hall of Records on 22nd July. A number of 7 inch singles have been released over the past few months. Our friends at New Ocean Media arranged for Brad Davis to answer a few questions via e-mail so that we could find out some more about the band and the new album. NI ROCKS – Hi Brad. Thanks for taking the time to answer a few questions for us. You’ve been working with Neil Fallon, Vinny Appice and Dave Bone in a band called Dunsmuir. How did the four of you get together? BRAD – Hey how’s it going? Me and Dave both grew up in El Toro, California. We’ve been friends for roughly 24 years. I’ve known Neil since 1996 when Fu Manchu first supported Clutch on tour. I started playing music together with them when I joined The Company Band around 2009. In 2013 Me and Dave discovered we had both been privately writing riffs that were more on the metal side of the fence. We were hanging out with Neil at a Clutch show and when he heard what we were up to he signed on. At that point we decided we might as well shoot for the stars drummer wise so we reached out to Vinny. I’d say he’s probably my favorite metal drummer of all time so when he agreed to meet up and jam I was beyond excited. The first time we were all in the same room together was Spring of 2014. NI ROCKS – Dunsmuir release their self-titled album on 22nd July via Hall of Records. Who did you work with as far as recording, production etc and how long as the album been in the making? BRAD – I had worked previously with Andrew Giacumakis on Fu Manchu’s Gigantiod record. We met through a mutual friend. After hearing his band Moab and discovering he had recorded it and produced it himself we contacted him to do a Fu Manchu 7” for Scion. That led to the Fu Manchu full length. We felt he would be a good fit for Dunsmuir as well. The Dunsmuir record was recorded mostly on the weekends in 2014-2015 finishing in the Summer of 2015. We co-produced the record with Andrew. It was a lengthly process as we were discovering the sound of the band as we were making it. We wanted to do it right. NI ROCKS – I’ve read that Vinny described the album as “pure simple heavy rock”. How would you define the Dunsmuir sound and are there any specific influences musically? BRAD – I would agree with Vinny. We wanted to trim the fat and get back to what we consider the roots of Heavy Metal. Dunsmuir for me pays homage to my favorite Heavy Metal influences. Sabbath, Dio, Judas Priest, Iron Maiden, as well as a lot of NWOBHM stuff. Of course this is all filtered through our own personal way of playing. NI ROCKS – The tracks on the album all relate to the concept of a shipwreck and the survivors tales. Where did that concept originate from and have all four of you been involved in the writing of the tracks? BRAD – The album’s lyrical concept was 100% Neil. When he told me and Dave what he was planning we were really excited. If you’re a Clutch/Neil Fallon fan like we are you know he’s a great lyricist/storyteller as well as singer. I was really blown away when I got my hands on the lyrics. Our process starts as a sort of musical assembly line. The basic riffs and parts generally originate from Dave or me. We did a good amount of rehearsing and arranging with Vinny. We would send Neil songs and he would work on them back home. Finally we got together for a pre production session where we really tore the songs apart and put them back together with musical and arrangement input from everyone. The song “The Gate” and I believe “Orb of Empire” were written at that time. NI ROCKS – There has clearly been a well-planned release campaign for the album. There have been four singles released – all available only on 7” vinyl. The album itself will also have a limited vinyl pressing with only 1,000 copies, as well as being available digitally exclusively on iTunes. Was there an express desire to promote the vinyl media or what was the thinking behind that? BRAD – My personal take on it is that the first time someone listens to Dunsmuir they should be sitting in front of a stereo possibly with a beer in their hand. We thought this sort of Dunsmuir specific singles club would be a fun way to do it. The first 1000 copies of the 12” come with a lithograph poster signed by everyone in the band. It also comes with a digital download code. The 12” will be repressed though. Only the 7” singles are limited edition. NI ROCKS – Have the singles that have been released (including “Our Only Master” that we’re playing on the Show this week) followed in sequence a story from shipwreck to survival? NI ROCKS – Are there any plans for Dunsmuir to play some gigs to promote the new album? BRAD – I know I would love to but it would be a question of everyone’s schedules lining up. Hopefully someday! NI ROCKS – It’s taken quite a while to get the first album released. Has there been any discussion about taking the band beyond this album? BRAD – We are cooking up some riffs at the moment and absolutely have plans for another record. NI ROCKS – Most people will know you as the bass player for Fu Manchu, who you’ve been with since 1994. The band’s rescheduled European “King of the Road” tour kicks off with 2 dates in England in October. The original dates in 2015 were part of the 25th anniversary tour but had to be cancelled. What can you tell us about the upcoming tour? BRAD - We’re excited to get back to Europe. The crowds are always great over there. Stoked to be playing in Spain which we haven’t been to for a long time. 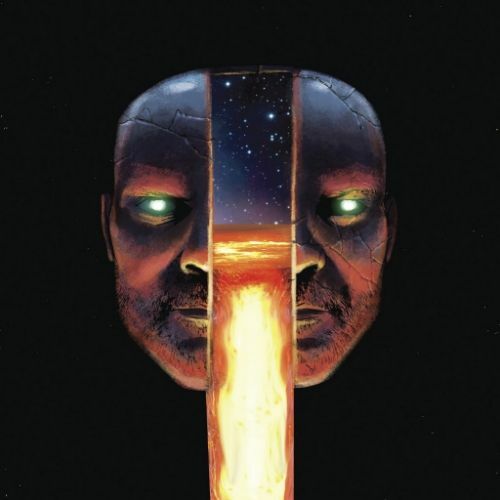 NI ROCKS - The last new studio album “Gigantoid” was released in 2014, after a gap of 5 years. Can we expect a new album from Fu Manchu anytime soon? BRAD – We are currently writing the new record. We will be releasing a 7” in a couple months where we cover “Slow Ride” from Foghat backed with a new song. The new record will most likely come out early next year? NI ROCKS – Doing a little background research, I noted that you produce your own pedals under the brand name “Creepy Fingers”. How did you get involved in that and how much of a demand on your time would that be? BRAD – Creepy Fingers Effects has been in biz for about 8 years. I make fuzz pedals for guitar primarily. Bass fuzzes on occasion. I used to buy a lot of fuzz pedals but discovered the DIY pedal communities online which led to building them. I started out selling them to friends and other musicians. Word spread and I was able to expand things. I’m hoping to get some new models released this fall. NI ROCKS - Who would have been your main influences when you started out playing bass and who would you identify as some of the best players around now? BRAD – My three biggest bass influences are Geezer Butler, Paul McCartney, and Chris Squire. Mike Dean from Corrosion Of Conformity is always amazing. My sort of favorite current “bassist” is Kevin Parker from Tame Impala. He actually plays all the instruments in the studio. NI ROCKS – It looks like Fu Manchu will taking up quite a bit of time later in the year, but are you working on any other projects? BRAD – There are a couple other projects that will hopefully come together in the not too distant future but I’ll wait till then to spill the beans. NI ROCKS – A couple of quick questions to finish. Can you remember the first album you bought and the last one? BRAD – The first album I bought was the Ozzy Osbourne Randy Rhoads Tribute record. The last album I bought was “French Kiss” from Bob Welch. NI ROCKS – And the first gig you went too and the last one? BRAD –I guess technically the first was Captain and Tennille. Last one I went to was The Freeks. NI ROCKS – Thanks again for taking the time to answer a few questions. I wish you good luck with the new Dunsmuir album, the Fu Manchu tour etc. 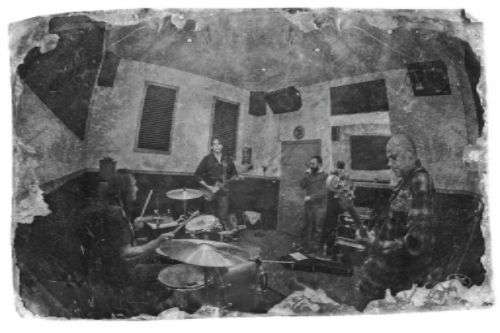 Check out the Dunsmuir website https://dunsmuirband.com/ for updates and links to their Facebook, Twitter and Instagram pages.